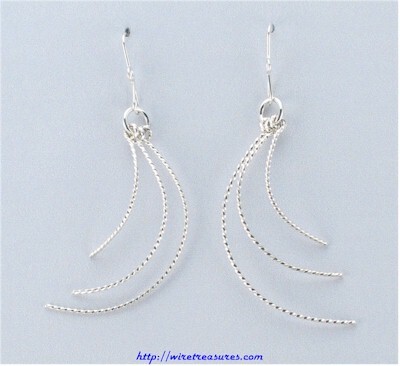 Long curls of twisted Sterling Silver wire will not stop moving. They will dance right along with you (he won't be able to keep his eyes off your lovely earlobes...). These earrings hang down almost 2 inches. You are visitor number 4,809 to this page.